A new brick-and-mortar toy store in Maryland opened by a former Toys R Us manager is seeing success thanks to the diversity of its dolls and toys. Glendon Warner said he worked for Toys R Us when it went bankrupt. He decided to stock all he learned there into something new. Toys, Babies and More in Hyattsville has been open for about two months and has found a customer base during a time when brick-and-mortar stores struggle to compete with Amazon and other online shopping options. Warner sees that as an opportunity. Part of the draw is what he stocks on his shelves: Dolls of color. 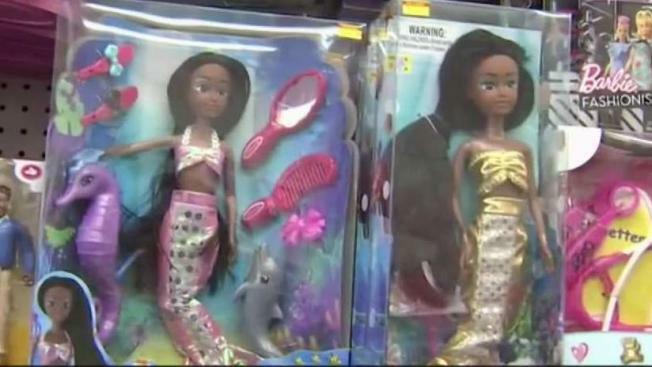 Dolls that reflect the diversity of the children who play with them can be hard to find. “I noticed that even when I was with Toys R Us,” Warner said. “Before the second week of December, you can't find African-American dolls." The diversity of the toys and dolls he offers has gained him some international sales. “My second sale was from Great Britain,” he said. Because of the diversity and the hard-to-find toys, Toys, Babies and More has a strong presence online. As word of his toy story spreads, so does his business, something of which he and his wife are very proud. “It's not easy, but when you have good family, you have God, anything is possible,” Claudine Warner said. Toys, Babies and More is located at 7455 Annapolis Road.